Dubai, UAE, January 14, 2019: Nicole Kidman has appeared in typically glamorous style for the 76th Golden Globe Awards in Beverly Hills, California. The actress and OMEGA ambassador has recently wowed audiences and critics alike with her stunning performance as LAPD detective, Erin Bell, in the film Destroyer. And the gritty role led to a Golden Globe nomination for “Best Actress in a Motion Picture” at this year’s ceremony. As always, Nicole walked the evening’s red carpet with a dazzling OMEGA watch on her wrist. 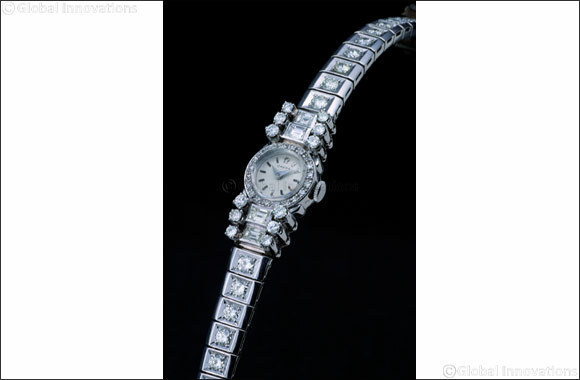 Nicole as a true fan of OMEGA’s most famous watch designs was wearing a vintage ladies’ jewelry wristwatch.